The B.F.A. 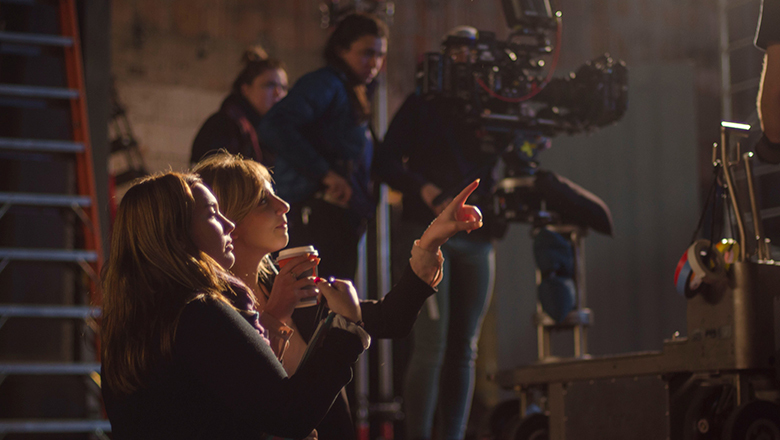 in Creative Producing is a hands-on program that explores all aspects of producing including both managing a film set and developing creative ideas into a finished project. In this program, you will develop your storytelling, business, legal, organizational and collaborative skills that are vital for establishing your career in the entertainment industry. You will learn how to oversee the complete production of a film from concept to the screen through a project-based curriculum that trains you to take the lead. Your education culminates in the completion of a fully developed portfolio including two thesis projects you have produced as well as a thesis book for a proposed project with detailed plans for rights acquisition, story development, pitching, budgeting, packaging, marketing, distribution and exhibition. Demonstrate the fundamental skills necessary to identify creative material as well as to manage the business elements of production, legal and intellectual property rights, marketing, financing and distribution internationally for film, television and the internet. Articulate the functions and roles on a film set and work collaboratively within that structure. Through closely mentored projects, students will be able to demonstrate the requisite knowledge and skills to produce film or media projects from start to finish. Demonstrate the ability to create a comprehensive project proposal that presents a compelling presentation of the material. Majors in creative producing must successfully pass CRPR 334 with a grade of "B–" or better. If a student receives a grade lower than "B–" then he or she must repeat the course and additional courses that may be taken concurrently are restricted to 100 and 200–level courses until the successful completion of CRPR 334 with a grade of "B–" or better. Program Learning Outcomes and Educational Effectiveness Evaluation Plans for B.F.A. in Creative Producing.